In commemoration of the 100th anniversary of the signing of the Armistice for the cessation of hostilities on the Western Front between the Allies of World War I and Germany, we have a post written by one of our Archivists, Helena Hilton, that reflects on the lasting effects that the war was to have on families. 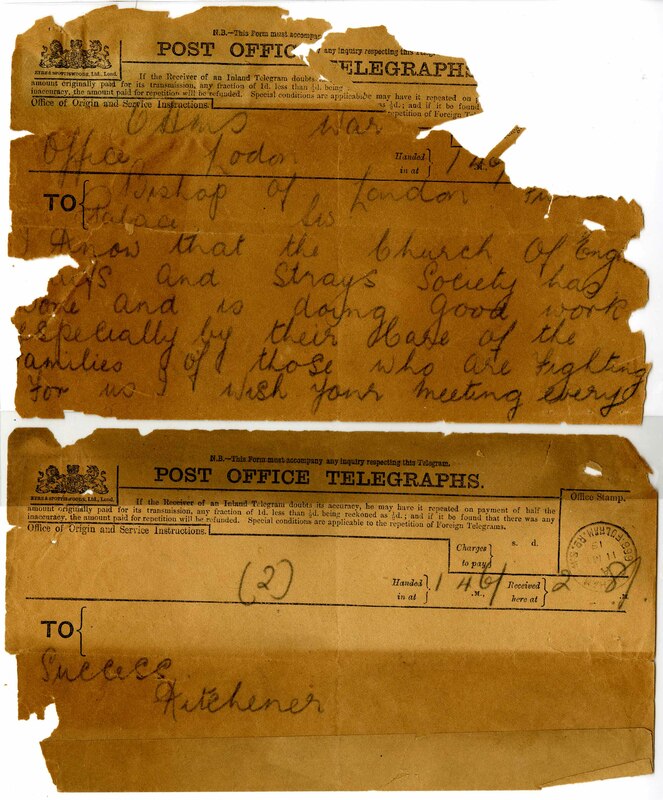 This blog looks at how the Waifs and Strays Society sought to assist the families of former soldiers scarred by the effects of war. Most of us are familiar with the films of victims of shell shock, those men with staring eyes and uneven gaits, who drop to the ground terrified by the slightest sound. At this 100th anniversary of the 1918 Armistice, there is a lot of focus on how the fighting came to an end, but for these men, in a sense, the war would never end: it went on and on in their shattered psyches, maybe all their lives. 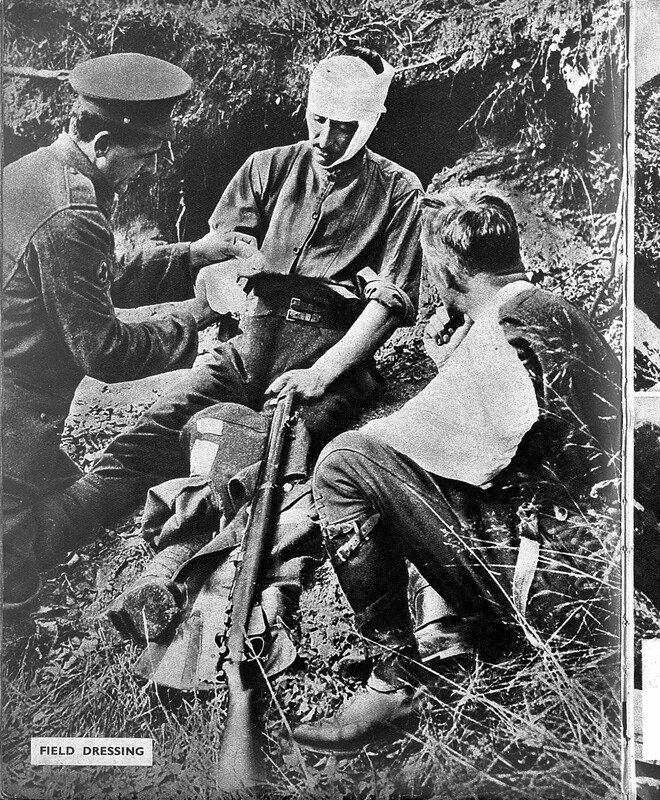 And the injuries of these terribly damaged men did not affect them alone: though we hear less about the families to whom the soldiers returned, and who had to deal with the consequences of their injuries, their lives too might be completely devastated, with consequences that would reach down the generations. The case files of The Children’s Society illustrate vividly the lives and struggles of ‘ordinary’ people whose narratives have not always been part of “official” histories of this country preoccupied with Empire and industrial dominance. In them we find the story of one particular family for whom the end of the First World War in November 1918 was not a time for rejoicing and a signal to start rebuilding a family life, but for whom the war and its effects remained an ever-present, dominating reality. In 1918 the Fair family were living in Halstead, Essex having recently moved there from Woolwich in south London. Henry (Harry) Fair, a career soldier, had come home from the War, but he was a different man to the one who had gone out to fight for his country. He was profoundly psychologically injured, and his family life had been devastated. His injuries were so severe that he had been medically discharged from the army in 1915 and was left incapable of working or even looking after himself, let alone his wife and three children. It was in November 1918 that the local curate, Revd Chamberlain, contacted The Waifs and Strays Society (as The Children’s Society was known in those days.) Harry’s wife, Alice, had just died and the vicar’s report on the family’s circumstances gave an insight into the dreadful conditions in which they had been living. The home was extraordinarily “dirty and miserable” and Alice had died “practically from starvation as her husband suffering severely from shell shock has an enormous appetite and there was only 24 shillings coming in weekly”. The military authorities had been negligent in organising the pension and Harry was shortly due to appear before a medical board for the 17th time in the hope that they might at last reach a decision. The local doctor feared that Harry might kill his children if they were left with him and so a local woman agreed to look after them temporarily and money was collected to buy them clothes. Harry himself was admitted to a home for soldiers in South Kensington, his desperate state apparently recognised at last. The children were destitute and their situation was “notorious all over the town”. Revd Chamberlain wanted the Society to take Harry’s two little boys, Charles and James, born in 1912 and 1915. Their elder sister, Kathleen, was found a home locally with a couple considering adoption. 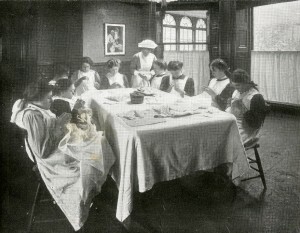 In early December the Case Committee of the Waifs and Strays Society agreed to accept Charles and James as War Cases: the fact that the Society had formulated a particular procedure for children whose needs resulted from the War is, of course, a measure of its impact The little boys were taken into St Elizabeth’s Receiving Home in Clapham on 30 December 1918, and the following month they were placed with a foster mother in Rackheath, Norfolk. This illustrates the Society’s procedures in two ways: younger children were boarded out rather than placed in a larger Home in order to provide them with a mother figure and a family environment, and siblings were kept together where possible to maintain family links and to lessen the profound impact of coming into care and leaving the family home. On admission Charles and James were both suffering from rickets, a condition leading to softening of the bones and usually arising from poor nutrition, unsurprising given the conditions in which they had been living. 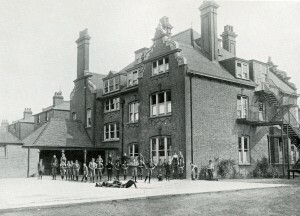 Once the children were in its care the Society set about finding out if they were eligible to receive a pension arising from their father’s war service. It was in January 1919 that Revd Edward Rudolf, the Founder and Secretary of the Waifs and Strays Society, was informed by the Pension authorities that an allowance had been made in respect of Harry’s children while he was undergoing treatment. Harry spent some time at a variety of hospitals and clinics specialising in the treatment of shell shock victims but unfortunately his health remained very poor. It seems that he was keen to maintain links with his children as he was able to visit Rackheath and stay at the foster home for a few days in the summer of 1920. Not long afterwards a representative of the Society visited Harry at the Special Hospital, Church Lane, Tooting, another neurological hospital used by the Ministry of Pensions for ex-servicemen suffering from shell shock: “The man has been 3 months an inmate, it was pitiful to see the poor fellow. Judging from his present appearance I should say that it is hardly ever likely that he will recover sufficiently to earn his livelihood. I did not ask the man his complaint, but should say he was suffering from paralysis and shock”. In April 1921 Charles and James moved to a new foster mother in Dorset. They settled well in their new home and the supervisor who made sure all was well with the placement, reported that they were “dear little boys”. She asked how Harry was getting on and if there was an address for Kathleen: “I think Charles worries at not hearing”. The Society provided the most up to date information they had in the hope that contact could be made. Throughout the rest of 1921 and 1922 the reports of the foster home were good and Charles and James enjoyed a settled life. However, in early April 1923 their foster mother had to give the Society authorities the news that Harry Fair had died on 1 April at Netherne Mental Hospital, Coulsdon, where he had been an inmate since 18 November 1922. Harry was 38 when he died and the cause of his death was given as pulmonary tuberculosis. Harry was buried by the Ministry of Pensions at Reigate Cemetery, Surrey on 7 April 1923. The children’s files contain a great deal of correspondence with the Pensions authorities concerning the allowances to which they were entitled following their father’s death. In March 1924 the Society decided to transfer the boys to the Hatton Home, Wellingborough: this was a centre where children whose fathers had been killed, or died, as a result of the War were supported by a special fund which had been raised for them in South Africa. In June that year a major conflict erupted between the Society and the Ministry of Pensions. The Ministry informed the Society that Harry Fair’s death could not “be certified to have been wholly due to the nature or condition of the pensioned disability as resulting directly from war service”, and that Charles and James were therefore not eligible for a pension. The Society authorities were incensed by this decision: they of course wanted the best for the children and in addition their funds at this time were extremely stretched, the War having swelled greatly the numbers of children for which they had to care. They, and Harry Fair’s children, needed all the help they could get; but the pensions authorities were known to be extremely stingy and difficult to deal with. The Waifs and Strays Society appealed against the decision and spent a considerable time amassing evidence for their case and consulting legal experts. The paperwork submitted for the appeal, which was heard in December 1924, went into detail about Harry’s military service and his medical treatment. He had joined the Army in August 1897 and served until August 1909: his foreign service included spells in India, South Africa and Egypt. 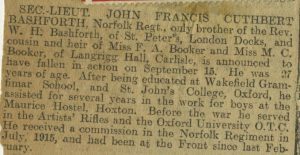 He joined up again at the outbreak of the First World War and was in France by October 1914. Harry was first diagnosed with neurasthenia in January 1915 and he spent 16 days in hospital. (There is much debate about the terms used to denote psychological trauma arising from war service. The Army discouraged the use of “shell shock”, and “neurasthenia” – actually meaning a mechanical weakness of the nerves – seems to have been employed as a catch-all description for war neuroses and for the result of prolonged anxiety and shock.) It. 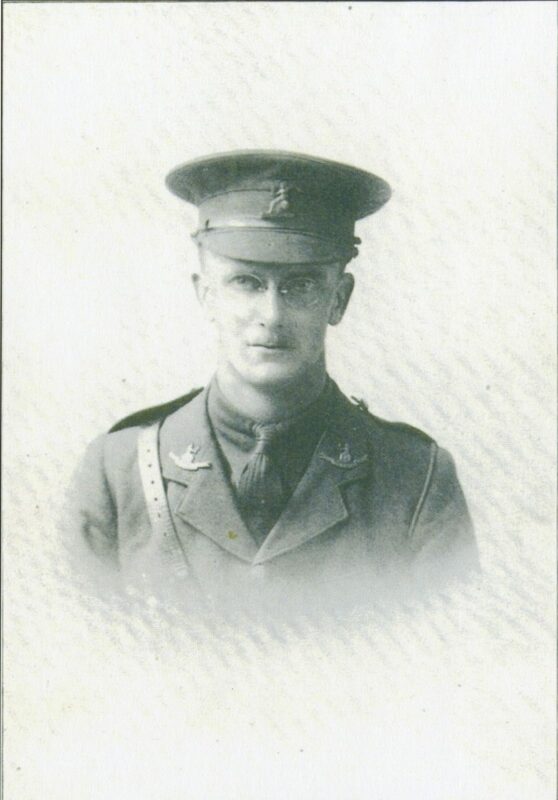 In the spring Harry was ill again with the same complaint and “shock”, and from May to July was in hospital, but his condition did not improve and on 5 July 1915 he was recommended for discharge from the Army as permanently unfit. It was noted that he “seemed nervous and was inclined to keep moving restlessly about. He talked in his sleep a good deal and walked with a very staggering gait, with the aid of a stick”. 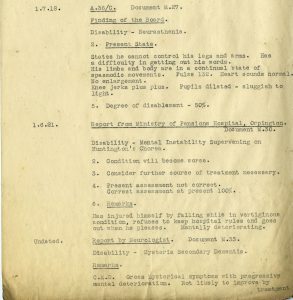 Urgent medical attention was recommended in February 1918 by a “medical referee”, presumably giving evidence to the Pensions Board: “This man’s condition demands immediate attention. He must be removed from his present home and surroundings and appropriate treatment given. I recommend the London Hospital, as under the care of Dr Henry Head every effort will be made to restore him if possible. He is totally incapacitated and will remain so for many months probably.” It has not been recorded whether or not Harry was treated in hospital at this time; there is no indication on the evidence sheet that he was. In July 1918 the Board found that Harry was still suffering from neurasthenia. He “states he cannot control his legs and arms. Has a difficulty in getting out his words. His limbs and body are in a continual state of spasmodic movements.” In June 1921 Harry was in a Ministry of Pensions Hospital and his condition was worsening. He was “mentally deteriorating” and further treatment was thought necessary. A later, but undated, report by a neurologist stated that Harry was not likely to improve by treatment. He had “gross hysterical symptoms with progressive mental deterioration” and was sent to Netherne Mental Hospital on 18 November 1922. The Society claimed that the Ministry of Pensions had recognised Harry Fair’s disability ever since his sons had been in its care. They had granted pension allowances in respect of the children’s maintenance (however these had fallen far short of the actual cost of their upkeep) and had organised the burial arrangements after Harry’s death. The trump card was a letter dated 23 July 1924 that the Society had received from the Medical Superintendent of Netherne Hospital. “I beg to say that the above-named patient was admitted on November 18th 1922 and died on April 1st 1923 from Pulmonary Tuberculosis. He was made a Service patient by the Ministry of Pensions as his mental disability was thought to be due to his Army Service. I have no doubt that the disease from which he died was due more or less directly to the debilitated state in which his service in the Army left him”. 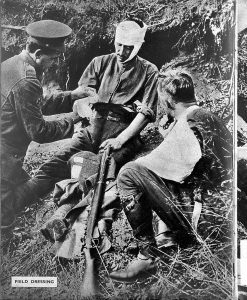 The term “service patient” is significant: it had been introduced in August 1916, the aim being to avoid the stigma of these men being regarded as paupers. They were to be considered as private patients, wear a distinctive uniform and enjoy the privileges appropriate to such patients and their maintenance became the responsibility of the Ministry of Pensions. Here was clear evidence that the Ministry had seen Harry’s disability and deterioration as a direct consequence of his war service. The final decision of the Ministry of Pensions was favourable: “It is recognised that death was connected with service; a pension has therefore been awarded”. So, now that their financial position was more secure, what became of the children? Charles did well at school and in 1927 was apprenticed to an engineering firm as he had requested. The Society continued to help with his maintenance as he only received a nominal wage: he also received a certain amount of help from the South African Fund, and the Ministry of Pensions extended his pension for a little while, until they decided in August 1928 that he was receiving “in excess of what constitutes nominal wages”. Another charitable fund connected to the Society gave him a grant and with this and continued support from the Society Charles was able to complete his apprenticeship. He received glowing reports from the Manager of the Engineering Firm and from the Superintendent of the Society’s Hostel where he was living. Once his apprenticeship was finished in 1932 he settled well into work and continued to keep in touch with people he knew in the Society. 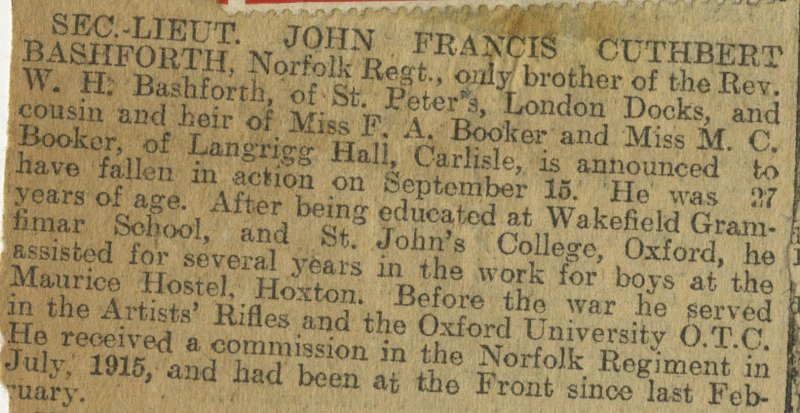 The Hostel Superintendent was able to pass on to the Secretary of the Society news of his continued success at work and his forthcoming marriage in October 1936. Everyone was very happy to hear how well things had gone for Charles and wished him well for the future. Life was not so easy for James. He was suffering badly from rickets on entering the Society’s care and although his legs became much straighter after receiving proper care his thighs remained bowed. He was also “tiny for his age, with a neck set almost in his shoulders”. 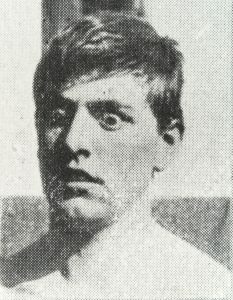 As well as his physical problems James’s “mental development was poor” and in 1926 it was recommended that he be sent to a special school for what were at that time called “backward children”. James had been born in 1915, at a time when his father was very ill and his mother presumably severely undernourished. Home life during his earliest years was wretched and the family had very little money for food. These were the days before the Welfare State, when there was much less in the way of a safety net for families in crisis and it was much easier to go under: it seems likely that his traumatic start contributed towards his disabilities. James was frequently examined and various medications, such as thyroid treatment were tried. His file contains considerable correspondence as there was much debate about what might be best for him. In November 1927 he was sent to St Boniface Home, Sampford Peverell, Devon on a six-month trial. He grew stronger, but unfortunately his mental development did not improve and was in fact considered to be “growing worse”. 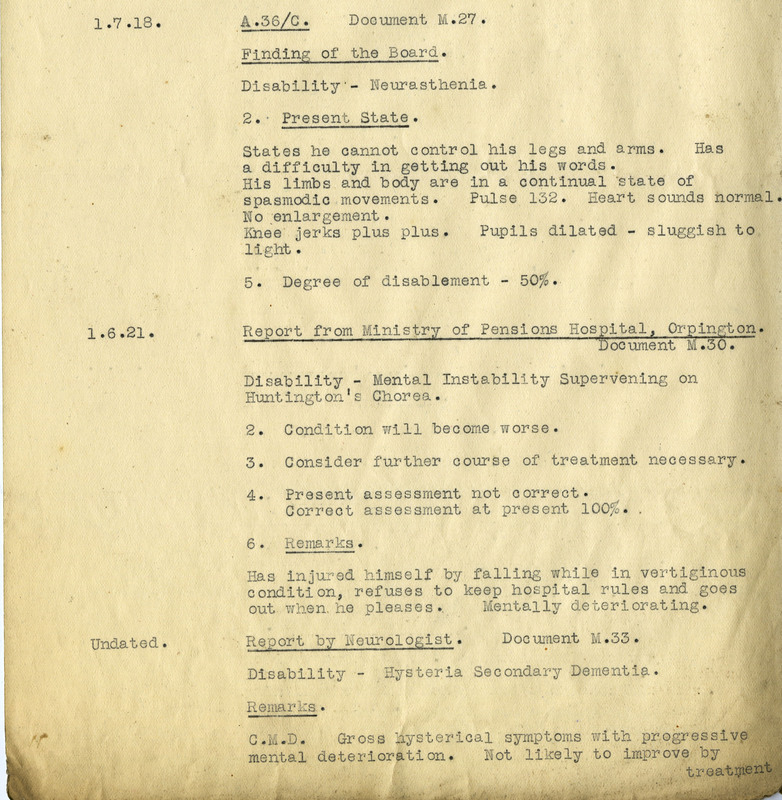 After an examination by the Devon County Council Medical Department in September 1928 he was declared to be “ineducable”: at his time the belief was that children with learning disabilities were impossible to educate, and it was not until the 1971 Education Act that it was officially recognised that “no child is ineducable”. Recommendation was made that he be admitted to a Home for the mentally disabled: The Waifs and Strays Society had no provision for children with learning disabilities and as Devon County Council refused to take any responsibility for him, in May 1929 James was placed with the Tiverton Poor Law Union. The plan was to shortly transfer him to a “Mental Home near Exeter”. Here the story fades out. The Society had supported the children as much as it could for as long as it could; here the files end. Charles kept in touch with his brother and presumably continued to do so after the time for which we have records. Kathleen, the eldest sister who was adopted, seems to have drifted away: we have no further communication from her, though she may perhaps have re-established contact with her brothers later. So the children enter the 1930s; both parents dead, one boy physically and intellectually damaged by his traumatic start, the eldest sister apparently no longer in contact. The impact of Harry Fair’s service on the Western Front spread widely, back to England and on through the years: like the waves spreading out from a rock thrown into water. As we mark 100 years from the Armistice, we should remember Harry Fair, his family, and the thousands like them for whom the War never really ended at all. We continue our series of blogs that look at the impact of the First World War on The Children’s Society. This post written by one of The Children’s Society Archive team, Clare McMurtrie, considers particular issues during the First World War – fundraising and advertising. The Children’s Society’s Archive holds a fascinating collection of 523 fundraising flyers that were inserts in The Society’s former supporter’s magazine Our Waifs and Strays. The inserts date back to The Society’s beginnings in the 1880s, when it was known as the Church of England Waifs and Strays Society, and were often beautifully illustrated. 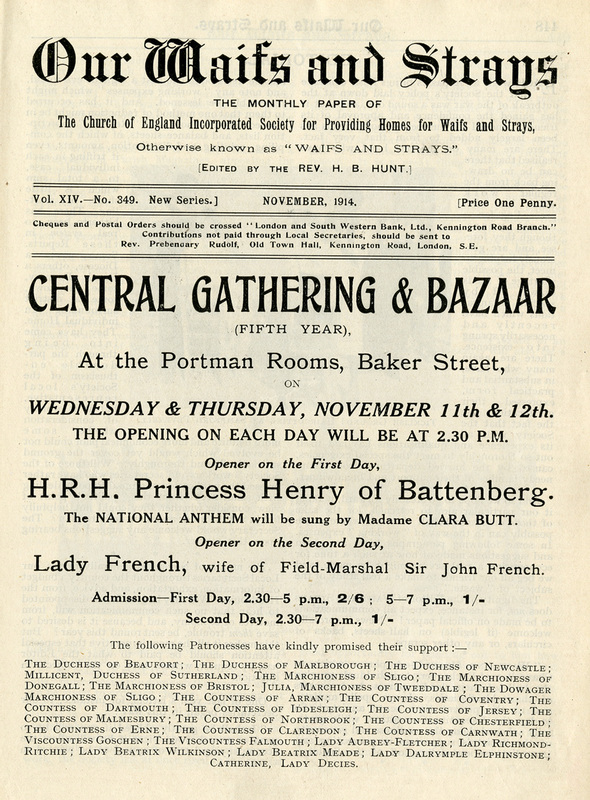 The Society’s fundraising flyers chart not only the history of The Society itself, but also its place within history – from the workhouses and Poor Law of the nineteenth century, to the First and Second World Wars of the twentieth. 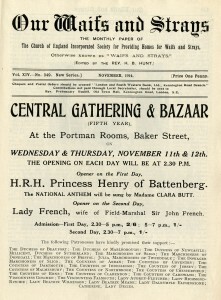 During the First World War fundraising was important to The Society (and other charities) as it sought to raise extra funds through advertising to support families affected by the War. 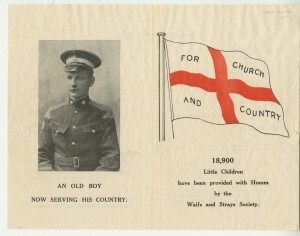 Flyers included the one above from October 1914, which has a photograph of a young man in uniform who was formerly in the care of The Society, alongside the caption ‘For Church and Country’ inside a flag. Another First World War flyer is one which includes an illustration commissioned from Bernard Partridge. This insert was used in January 1918, at the tail end of the War, in the same month as British Premier and Liberal politician David Lloyd George (1863-1945) gave a speech to Trade Union delegates to outline British War Aims. 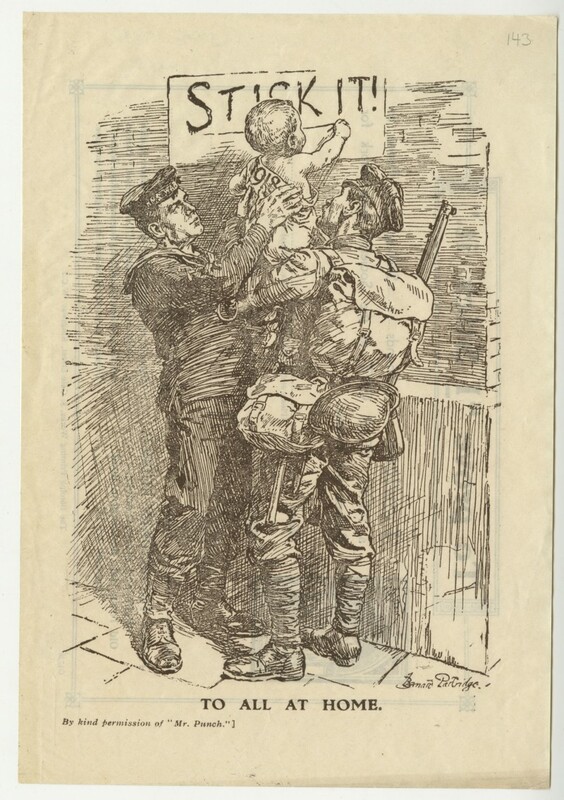 The insert and its caption ‘Stick It!’ reflect the resilient and determined wartime spirit and the message of Lloyd George’s speech. Sir John Bernard Partridge, known as Bernard, was born in London on 11th October 1861, the youngest son of Professor Richard Partridge and Fanny Turner. His uncle was John Partridge, Portrait Painter Extraordinary to Queen Victoria and he was educated at Stonyhurst College at the same time as Arthur Conan Doyle, before attending Heatherley’s and the West London School of Art. Partridge had worked as a decorator of church interiors, but freelanced as a cartoonist. His first published work appeared in Moonshine, and he also contributed cartoons and illustrations to publications including Judy, Illustrated London News, Vanity Fair, Illustrated Sporting & Dramatic News, Lady’s Pictorial, Pick-Me-Up, Quiver and The Sketch. On the recommendation of George du Maurier, grandfather of author Daphne du Maurier, Partridge first contributed to Punch in February 1891. He joined the staff later that year, going onto work for the magazine for over fifty years, producing political and joke cartoons as well as theatre caricatures. In 1910 Partridge succeeded Edward Linley Sambourne (1834-1896) as Chief Cartoonist, a position he held until his death. Partridge’s style included being particular about figures in his cartoons and disliking using more than two in any cartoon, while tending to draw elaborate, statuesque figures in classical poses. 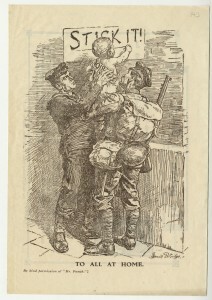 The ‘Stick It!’ illustration is therefore an unusual example of his work in that it includes three figures; a Navy man, a soldier and a baby. Its message ‘To all at home’ was both a plea for donations at a time of economic hardship across the country and one of solidarity to reader’s plagued by war for four years. He was knighted in 1925 by Prime Minister Stanley Baldwin. Bernard Partridge died in London on 9th August 1945. To commemorate Remembrance Sunday and Remembrance Day we have a post written by one of our Archivists, Gabrielle St John-McAlister, that looks at a particular event during the First World War. 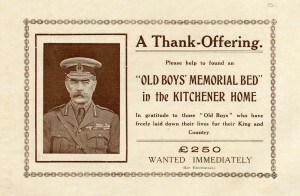 One of The Children’s Society’s most renowned supporters during the First World War was Herbert Horatio Kitchener, Lord Kitchener (Earl Kitchener of Khartoum, Secretary of State for War), possibly best known to the general public today as the face of the ‘Your Country Needs You’ recruitment poster. To show his support he sent a telegram to the Bishop of London in May 1915, noting “I know that the Church of England Waifs and Strays Society has done and is doing good work especially by their care of the families of those who are fighting for us”; this is indicative of the high esteem in which he held the Society. His influence cannot have failed to help raise the profile of the Society and bring its needs and aims to a wider public. The Society was then known as the Church of England Society for the Provision of Homes for Waifs and Strays; in 1946, the title changed to the Church of England Children’s Society. Lord Kitchener died in June 1916 when HMS Hampshire, on which he was travelling to negotiations with Russia, hit a mine near the Orkneys and sank with the loss of almost all on board. His body was never found. 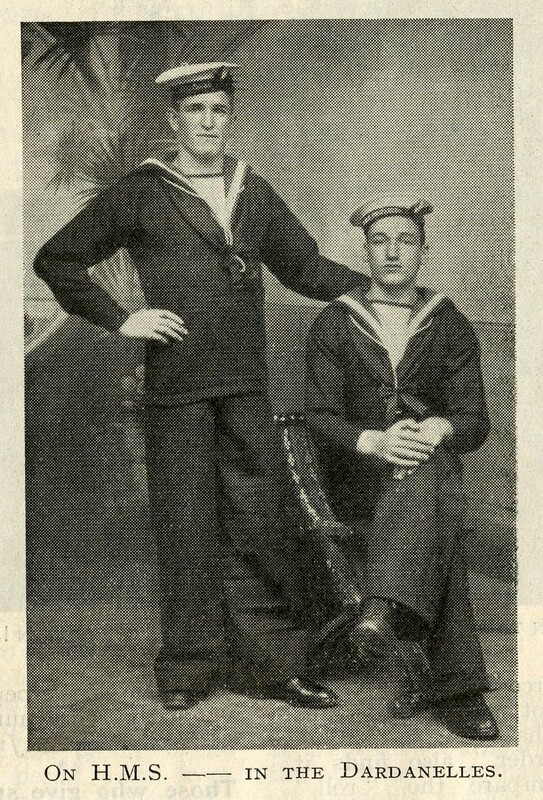 Even in death there was a connection with the Society; Charles West, a Society ‘Old Boy’, also died on HMS Hampshire. Almost immediately the Society began to discuss how best to show its appreciation for Kitchener’s support. By June 19th, just 14 days after Kitchener’s death, the Society’s Executive Committee had decided that “a life so noble and an example so inspiring should have a monument entirely their own.” The intention for the memorial was noted in the Executive Committee Minutes of June 1916. 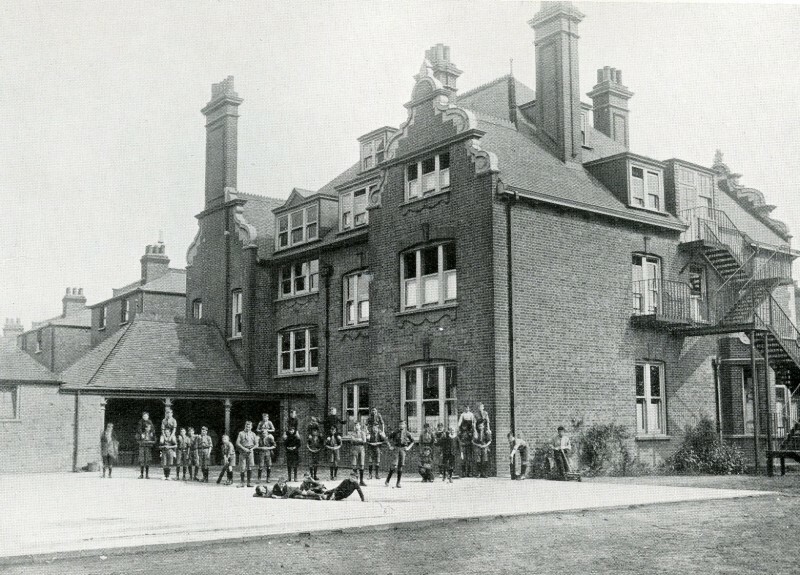 The idea of the Lord Kitchener Memorial Home was born and a fund to pay for its construction was begun. Lord Kitchener’s sister wrote to the Executive Committee in July to express her approval of the plans. The Home, standing in an acre of land at Hillfield Avenue, Hornsey, was opened by the Duke of Connaught in July 1918, with a dedication led by the Bishop of London. 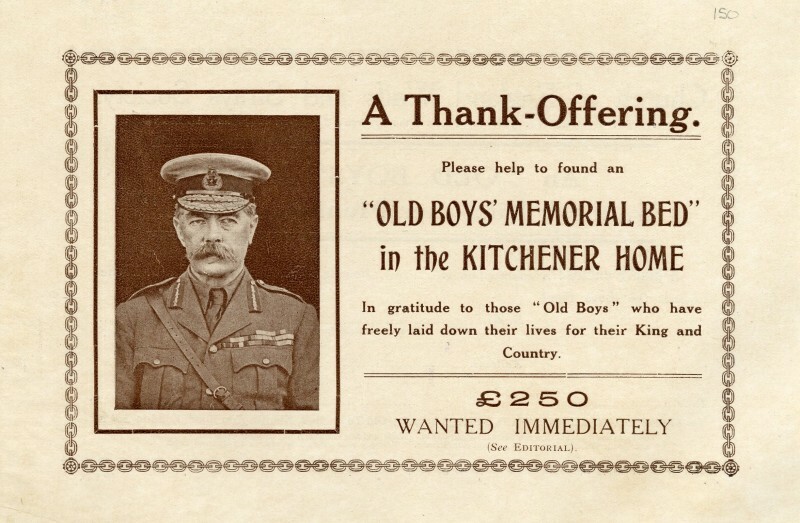 Fittingly, the Home initially took in 47 boys, all of whom had fathers killed or incapacitated in World War I, thus combining the dual purposes of remembering Kitchener and aiding the families of some of those who fell. we do not throw ourselves today into “the fighting line” – it is not our place – but we do offer our experience, gained during many years, as a valuable asset “at the base,” – where women’s sorrows and children’s wants are crying out. Our gates are always open to all those who knock at them in real need, and … our door-bell … has been rung incessantly and with intense urgency within the last few weeks. The nation was in shock, but it was not long before everyone was back at work again, with an overwhelming feeling that every one of the efforts must in some way be linked to the war. So, rather than dances and fetes (such “frivolous forms of entertainment” were deemed inappropriate in the circumstances) more sober meetings and gatherings, and sales of work continued and provided much needed funds for the Society. Here are a couple of letters we received from supporters in 1914, and which were sent to the editor of our supporter magazine ‘Our Waifs and Strays’. Dear Sir, – I herewith enclose £5 as a donation to the War Emergency Fund, but I wish to be kept ‘Anonymous’. I have foregone my holiday this year on account of the war, and send you what I have saved in consequence. Dear Sir, – I enclose postal order for 10s., being a subscription to the funds of your Society from my sister and myself. We are concerned lest, in the necessary demands made by the War Fund, such charities as yours, which are already established and in working order, should suffer. We therefore send part of our subscription to your fund. The organisation of the Society’s Pageant, small Sales of Work, Meetings, etc. The Issue of special small collecting purses. The sale of the Society’s “poster-stamps”. The organisation of house-to-house collections or special local appeals. The arranging of “Pound Days” (to provide food and clothing for the inmates of the Homes. The issue of collecting-boxes, to be placed at church doors, or in shops, or distributed to people for collecting amongst their friends, or for their own weekly donations. Despite the war the Society decided it would go ahead with its annual Bazaar. Instead of selling what may be called ‘frivolities’, useful articles, “particularly garments for wounded and convalescent men, for destitute families”, and “for the children in our Homes” would be sold instead. Many ordinary people contributed items, and in some cases made items to be sold, and acted as sales people for the Society, but that’s a story for another post! Today marks 100 years since Britain declared war on Germany and the First World War began. The next four years will be a time to remember and reflect on the war and all those it affected. People like Thomas, who had entered the care of The Children’s Society (then known as the Waifs and Strays Society) around the age of six. He lived in the Rochdale Home for Boys and left the home in 1903, when he was around 16 years old. 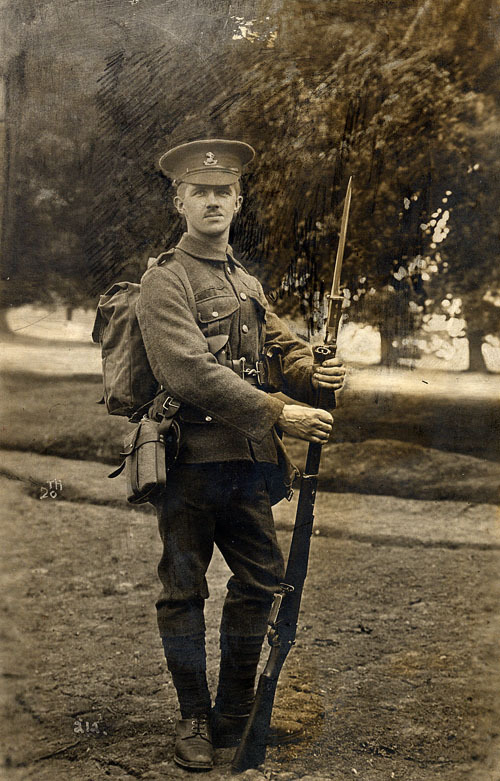 Like so many others, Thomas joined the army and went to fight in the First World War. The above photo of Thomas was taken in 1915. As well as those at the front, the First World War affected those at home, and the Waifs and Strays Society saw many more children coming into care as a result. We’ll be discussing some of the impacts of the war on the Waifs and Strays Society later in the week, so watch this space.